It's no secret that former prime minister Indira Gandhi acquired her surname from her husband Feroze Gandhi. Even though the Congress has been led by persons with a 'Gandhi' surname for most of the past 50 years, Feroze was a name largely forgotten and sidelined by the party. However, on Wednesday, the Congress paid a Twitter tribute to the former freedom fighter on the occasion of his 106th birth anniversary. "We remember Feroze Gandhi. During the independence movement he was arrested and jailed several times and was later elected as a Member of Parliament from Raebareli," the Congress tweeted. The rare show of remembrance raised at least a few eyebrows on social media. Compared with the other members from the Nehru-Gandhi family, there's very little known about Feroze. There are many theories about his Gandhi surname. The most popular one says that Feroze was born to Faredoon Jehangir Ghandy and Ratimai, who lived in Mumbai. In his prime, Feroze was drawn to India's independence movement. He soon got inspired by Mahatma Gandhi and changed the spelling of his surname from ‘Ghandy’ to ‘Gandhi’. Apparently, Feroze considered himself a Parsi. At the same time, he was not religious. Indira and Feroze, who knew each other since their younger days, got married in 1942. However, their relationship was a complicated one, says Swedish author Bertil Falk who wrote the biography Feroze, The Forgotten Gandhi. He says that love for nature was the only thing that was in common between the them. Feroze started his career as a journalist and became the managing director of The National Herald, founded by his father-in-law Jawaharlal Nehru. Much to the ignorance of the public, then and now, Feroze Gandhi was an efficient legislator, too. Elected to Parliament on a Congress ticket in 1952 from Rae Bareli in the first general election of independent India, Feroze was a sane and sensible debater, whose passionate interventions against a government of his own party were coveted by the opposition. Feroze played a key role in uncovering a scam in the newly nationalised LIC, earning a reputation as an anti-corruption crusader. 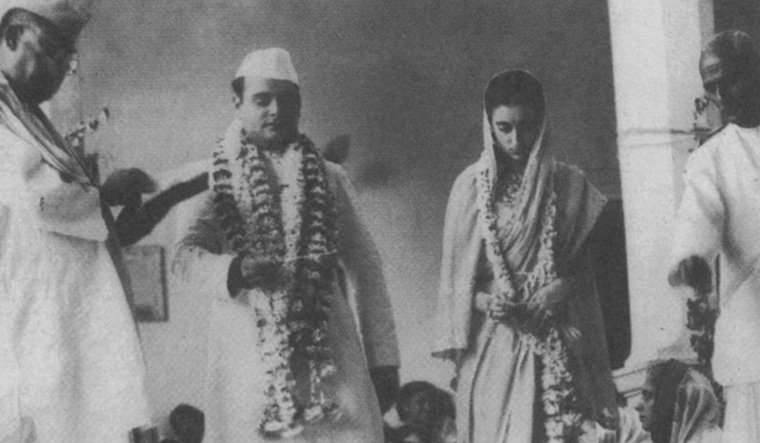 In 1956, four years after he was first elected to Parliament from Uttar Pradesh's Rae Bareli, Feroze Gandhi introduced a private member’s bill advocating press freedom. That was a period when a reporter could have been jailed for reporting the Rajya Sabha debates. The bill was passed and became a law as the Parliamentary Proceedings (Protection of Publication) Act, 1956. Ironically, about two decades later, his wife Indira Gandhi's tenure was one of the darkest periods for press freedom in India. While there are plenty of roads, hospitals, airports and bridges named after Nehru, Indira and Rajiv Gandhi, the only institution bearing Feroze's name worth mentioning is the Feroze Gandhi Memorial College in Rae Bareli in Uttar Pradesh. He started it as Rae Bareli Degree College a few months before his death on September 8,1960. Currently, his daughter-in-law Sonia Gandhi represents the Rae Bareli constituency. If not overshadowed by others in the Nehru-Gandhi, especially his wife Indira, Feroze had the potential to become a game-changer in the law-making process of post-independence India. "It was Indira’s fault—she did not want him to come to the forefront," notes Falk.